Midwest USA native. The background was in agricultural commodities trading and later into commodity info services via a startup. Sold company in 2000. 4-star luxury all-inclusive wilderness resort. The Chilko Experience has been a fully constructed facility for over a decade. In 2015 it began commercial operations. The current emphasis now on marketing and getting the product known in the luxury travel market. Becoming a TM branded product should aid in that goal. 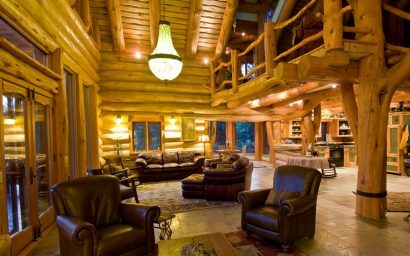 The owner, Phil Huston discovered the Chilcotin region of British Columbia as a young man and never forgot it. The Chilko valley is the premier location in the 32M acre Chilcotin region due to its spectacular vistas and multisport offerings. 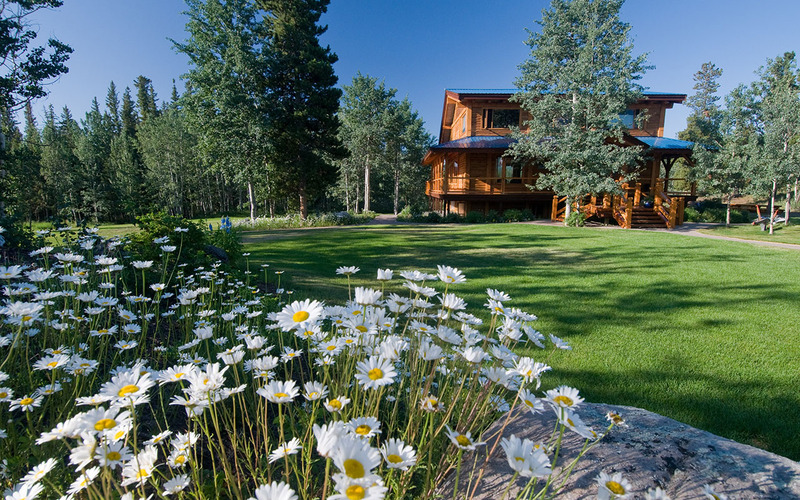 In 2000 a guest ranch was purchased and from 2002 – 2007 a complete $10M rebuild occurred. 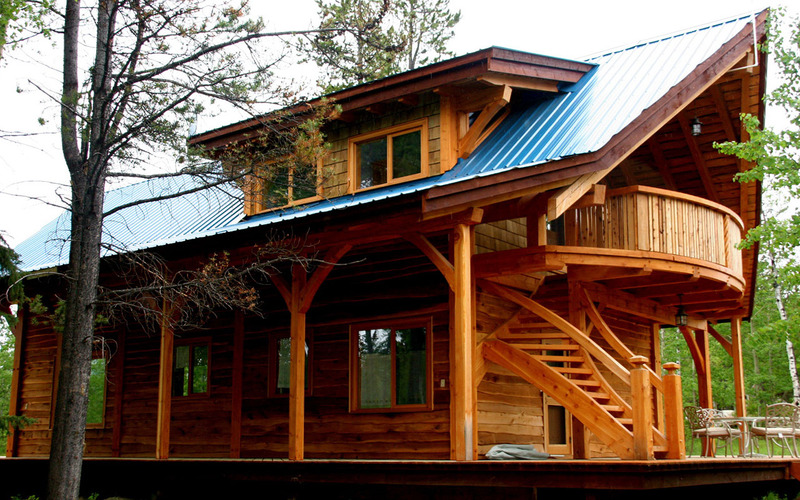 Six guest homes plus all the infrastructure needed for off the grid luxury comfort was constructed. Results were wonderful and featured on HGTV. The facility was used privately for 15 years. It was open commercially in 2015. 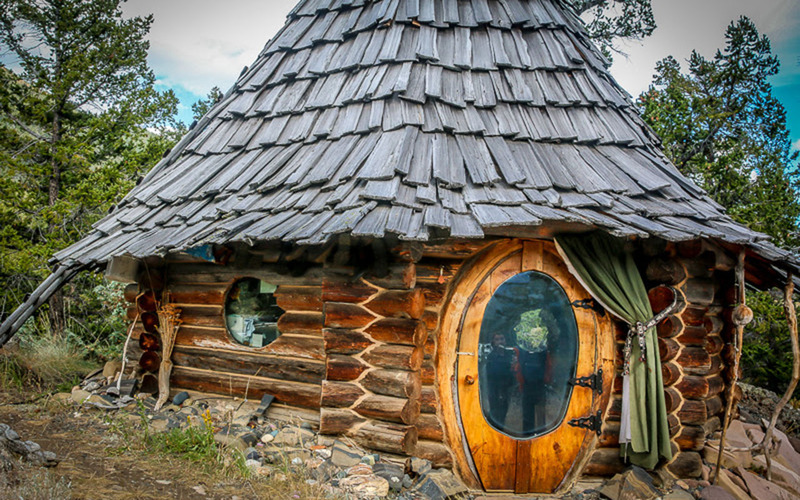 Boutique in nature, it hosts 12 guests normally but up to 22 for multigens. Swiss artisan craftsmen constructed log and timber frame homes. 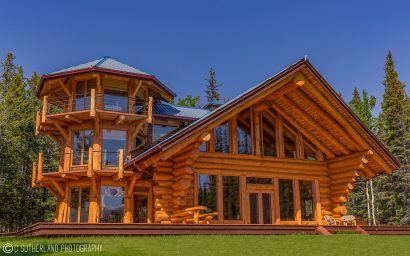 Contractor was Pioneer Log Homes of BC. Pioneer is to log construction as Faberge is to eggs. 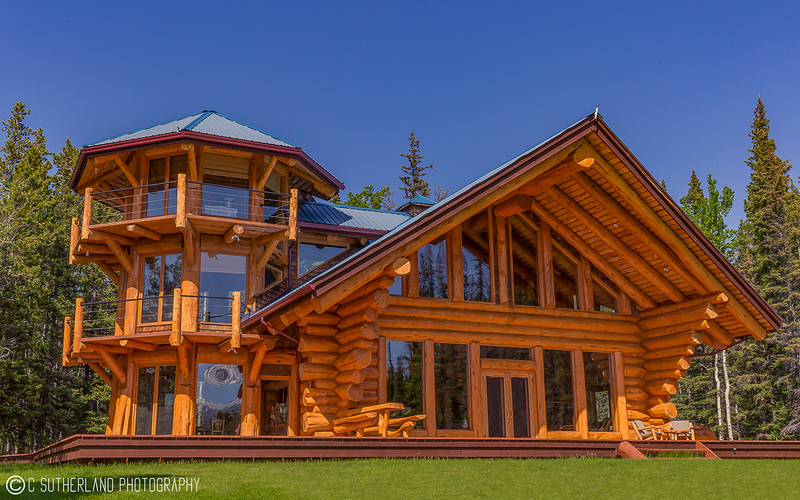 Location is in the Chilko Valley 150 air miles north of Vancouver, BC. Guests arrive by private charter flights from YVR. Flight duration is one hour. Location equals Banff in beauty with none of the crowds. Chilko Lake and its tributaries forms Chilko Valley. Chilko lake is the largest alpine lake in North America. It is 85KM in length, over 300m in depth and ringed by mountains and glaciers. Water is 100% glacier and snow melt and pure to drink. The Chilko River offer world class fly fishing, white water rafting, hosts 1M spawning Sockeye salmon each September which draws in over 100 Grizzly bears to dine. 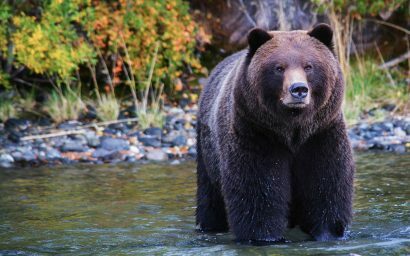 Chilko is one of the best bear viewing destinations in Canada. Wildlife is abundant. The Chilcotin region can be best desribed as Montana 1910 with more mtns. 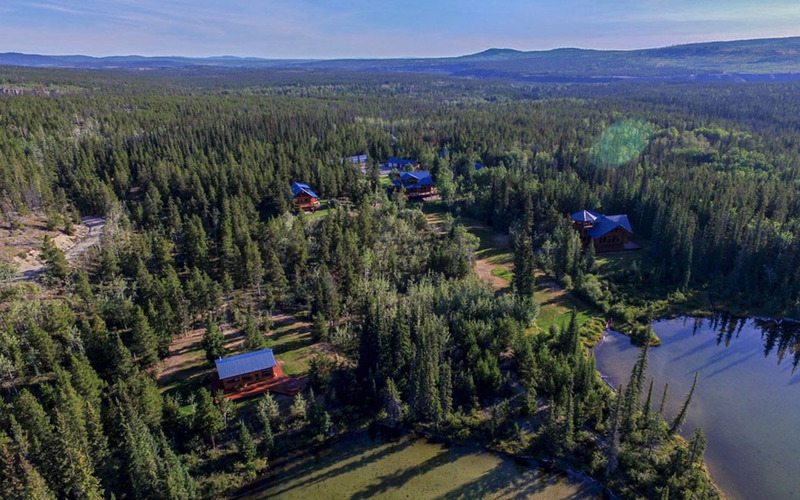 Only 1,000 hearty residents call the Chilcotin home (one per 52 square miles). The region supports 17 unique ecosystems which biologists from around the world come to study. Over 25% of all bald eagles in NA live in BC. Over 15,000 grizzly bears and 100,000 black bears call BC home. Residents are uncommonly handsome. 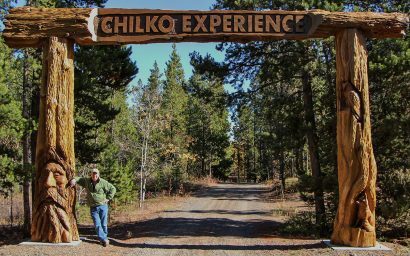 The Chilko Experience will accept children of any age as long as they are accompanied by good parents. 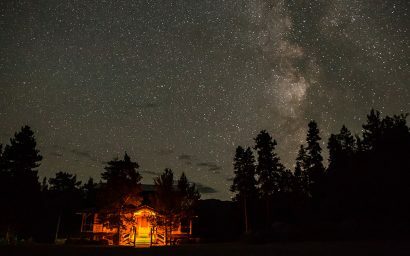 For many children, Chilko will be their first opportunity to connect with true nature . 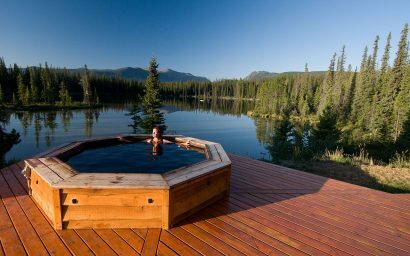 There is hiking, swimming, a hot tub, canoeing and special horse familiarization opportunities for kids as young as three. Four are one Br and two are 2 BR design. We offer all-inclusive packages. 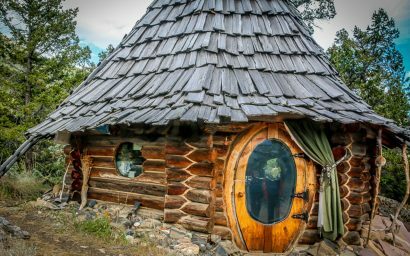 Packages include homes not rooms. Each home uniquely decorated with period antiques. Homes provided with luxury bedding, towels, bathrobes, toiletries and hair dryers. Direct TV available in each home and wifi in main lodge. Coffee makers, soft drinks, sparkling water and snacks in rooms. Site location of each home selected for vistas and privacy water. 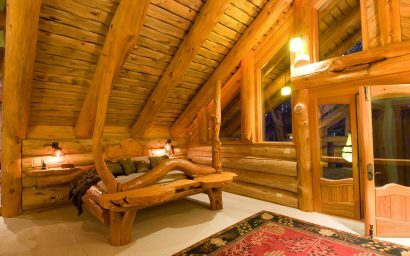 All-inclusive offering features lodging in a log or timber frame home, chef prepared meals, an open bar and ten guided activities. The chef is excellent and excels at old and new world cuisine. Breakfast is an expansive buffet offering designed to feed a hungry lumberjack. Lunch is generally packed as guests are usually off site engaged in a gudied activity. Appetizers and cocktails are served at 6 :30 pm. Sometimes by an open outdoor fire. Dinner is plated and served with wine. Vegetables are grown in an on site green house or sourced locally whenever possible. Our dining focus is to provide tremedously favorable food in a casual, relaxed atomsphere. Natural pool made 10 acres pond that supports swimming, paddle boards, canoes and kayaks. Hiking, boating, horseback and ATV trail rides are some activities that place guests in the middle of pristine nature. We are a boutique facility and do not host traditional corporate events due to our location and size. We have hosted smaller executive groups who wish to team build or reward key clients. The reason guests come to Chilko is because it’s one of the most beautiful natural locations on the globe. The thirteen offered activities, ten included three a la carte, focus on connecting people to nature at the highest possible level. The most prominent experiences mentioned by guests are the vastness and purity of the region, the wildlife present and the architecture of the facility.